Nien Nunb (huehue)... No one wanted. There are some players that wanted Greedo. Not so sure about Nunb. I fully expect them to go beyond just the 2 remaining heroes. Maybe those heroes will be free. We'll see. If that's the case, Greedo and Nunb aren't that big of a deal. Nien Nunb was a weird choice but made sense with Sullust. At least we can all agree Lando was a good choice. Because they are relatively easy to implement. Infantry based, same weapons, same star cards/power ups. Creating some one like Chewy, Obi Wan, will require some actual thinking and development. "Dengar is the villain we are looking for". They can't all be winners.... To correct my previous post, another thread on this page highlights the fact that we will get a total of 8 new heroes outside of the base game. Something tells me that the deceptive 4 heroes and villains post made in the past annoyed season pass holders when they clarified later and said it was 4 total. Add in the backlash over Greedo and Nunb and you can see why they reversed course and changed the number to 8. Great news. It might also help sell some season passes. Considering they're focusing on the original trilogy there honestly aren't that many "iconic" characters to implement into the game. If they were pulling characters from Clone Wars + the prequels there would be more iconic characters to pull from. 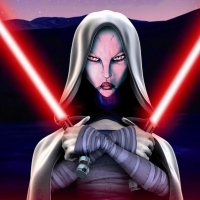 Ventress, Mother Talzin, Count Dooku, General Grievous, Maul as villains for example. Hero wise, Padme, Jar-Jar(lol), Shaak Tii, Ahsoka Tano, Luminara, Kit Fisto, Jocasta Nu, Cin Drallig, Obi-Wan and countless other Jedi. If I had to choose, I'd rather have Dengar than Lando. Sorry, but that's not normal. Give the guys a break! Dengar is a badass and I'm pleased to glimpse the direction they are taking the bespin dlc. I was proud to have both Dengar and Nien Nunb in my figure collection as a child and it's great to see them digitally rendered now. Really excited for this DLC and props to the team that are bringing these characters to life in battlefront and paying so much attention to detail. I had Dengar's action figure as well. I thought he looked cool. If I had Lando's action figure, I don't remember paying with it. At all. Who would you have chosen for the villains? I honestly don't mind Dengar. I still think IG-88 would have been a better choice, but Dengar's still a pretty solid Bounty Hunter. The problem here is that you can't please everyone. Some people will be happy when their favorite hero or villain is picked. Some will say they wanted someone else. You can't please everyone. I will say that now that we know we are getting Lando and Dengar, your hero or villain might be on their way down the road. I would have to assume one of those heroes will be Chewie. I guess we'll see. I don't want to see the same characters from the original 2 games. 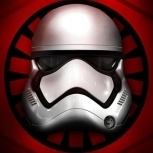 Whether they're iconic or not they were never implemented into battlefront 2. This is a chance for people to experience them. Greedo and Nien Nunb ended up being really great. The sad thing is people take things for granted and won't appreciate the hard work they put into the game. If anything don't get mad at EA or DICE, blame disney for taking out their largest source material. 4 heroes and 4 villains nien nunb and lando the first two so yoda chewie and obi wan are left. One of the most iconic heroes are going to be left out for nien nunb? As far as villains go i don't mind greedo or dengar because the lack of villains in the OT i find disturbing. If i made this game it would have Yoda Chewie, and Obi-Wan. Yoda never had any action in the OT. At least the emperor used his force lightning and can still be proven powerful. The only problem I have with obi wan is that there is on other villain who wields a lightsaber which makes things a little unbalanced. Bossk and IG-88 are fan favorite bounty hunters, more so than Greedo or Dengar. IG-88 especially has a lot of deadly weapons and devices that could translate into fun gameplay. A lot of people want an Imperial officer for a hero so we're not swarmed with just bounty hunters, and I think Veers would fit the bill better than Tarkin. He's a tough, no-nonsense general who actually put himself at risk leading the AT-AT assault during the Battle of Hoth. Tarkin is more of a bureaucrat while Veers is a military man. These heros are on point. There would be far less people criticizing it right now, I guarantee you. I've only seen 1 person whine about Lando, and they're probably legitimately crazy. The problem here is quite clearly that DICE is not choosing fan favorites as heroes and it's creating a backlash. That's kind of a cop-out. If they had made more inspired choices from the start, the majority of players would be happy. Sure, there probably would be less criticism had they gone a different way rather than Dengar. Again though, there will always be differences of opinion on this matter. As for Lando, prior to today I have seen quite a few posts from people not wanting him. It's not a cop-out at all. 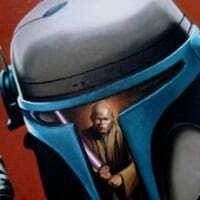 Another factor in this discussion is the fact that beyond Lando and Dengar we are getting 4 more heroes and villains that haven't been identified. There's always going to be players that feel they didn't make the right choice. 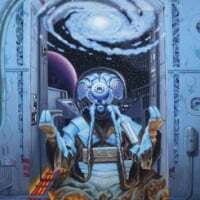 While many hated Nunb to begin with, after using him a lot of players changed their minds. I agree with you. IG-88 would have been very fun. yesss only $15-$12.50 to play with the most Iconic! Cant wait for DeDeDeDengar to join the Fun! Don't forget about random rebel pilots and Luke's co pilot. They are so iconic! If they add Maul the rebels are done for, THE CULT OF MAUL BECKONS FORTH! They arent adding him thats for sure lol. Real talk though I'd be down with Wedge Antilles. These two are so much better than Nien and Greedo. 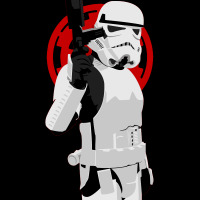 All will be forgiven if Imperial Guard and Ben Kenobi are in the Death Star DLC. Need more melee characters to spice up the match ups! Ikr. I'm seeing all these different iconic heroes that i have never heard of. 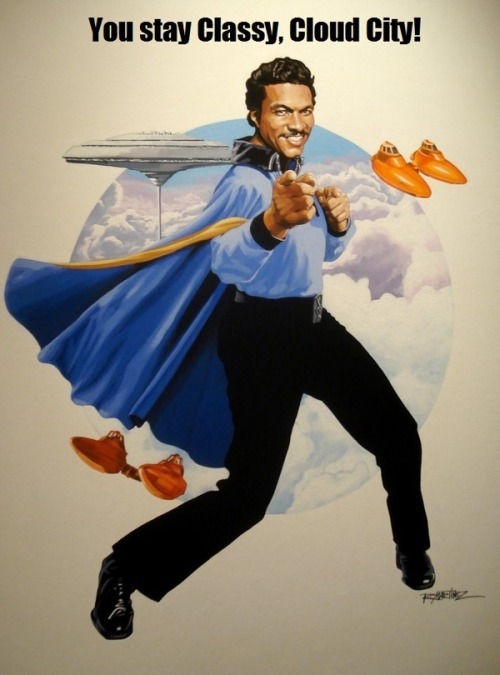 Im happy with Lando, he was introduced on Bespin and played a big role in ROTJ as well. I wonder if the fact he was working for the Imperials at first it could somehow be worked into a special ability. As for villains, there really weren't many that played a major role so I guess Dengar makes as much sense as anyone else. I don't think one of the generals would work very well, at least the bounty hunters should be good in combat. Actually come to think of it I hope they implement Tarkin. Pressing RB causes him to pull out a walking stick which he can use in hand to hand combat against Luke. Pressing LB causes him to instantly die from a heart attack. Let's all imagine just exactly where this DLC took place and then look at the heroes. Sullust. Ok, now then, Nien Nunb. Hmmmm...... oh, he's Sullustan. What a coincidence! Let's see, what else, what else....... Jabba's Palace, alright. Greedo........ whoa, whoa, wait. He worked for Jabba! Holy coincidences all around, Batman! The heroes have a relation to the maps featured here! NO WAY! Also, what's Dengar's connection to Bespin specifically? I loved it when DeDeDengar destroyed Cloud City!